IAF and Abit are proud to organize toghether the IAF’s 33rd World Fashion Convention to be held on October 17th and 18th, 2017 in Rio de Janeiro, Brazil. Please mark these dates in your calendar! The theme of this edition is Compliance and Technology – Key Drivers for Industry and Retail The Convention has the function of informing, inspiring and providing a meeting platform for apparel executives from all continents. National and international speakers will present and discuss responsible business conduct (labor, social, environmental, legal), as well as technological megatrends and their possible impacts on the production and distribution chain. 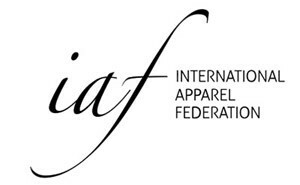 Naturally, also this year, the IAF Convention in more than a conference, with the IAF Golf Tournament, a great partner program and dinners and cocktails in a truly gorgeous setting, the Convention is still one of the world’s best networking opportunities for the global apparel industry.